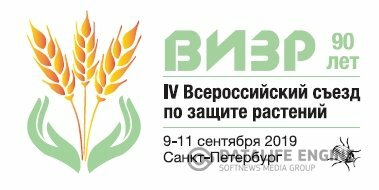 From September 9 to September 11, 2019, the IV All-Russian Plant Protection Congress with international participation “Phytosanitary technologies in ensuring the independence and competitiveness of the Russian agro-industrial complex” will take place in St. Petersburg at the Park Inn Pulkovskaya hotel. The congress is timed to the 90th anniversary of the All-Russian Research Institute for Plant Protection, and will bring together over 500 scientists and specialists from all over Russia to share knowledge and experience, present research results and discuss plant protection innovations in agriculture and organic farming. The FIZNU VIZR acts as the leading organization of domestic phytosanitary, a center of scientific, innovative and educational activities for the protection of plants in the Russian and post-Soviet scientific space. The Institute ensures the implementation of priority fundamental and applied research, postgraduate education in the field of phytosanitary, international business projects for the introduction of modern agricultural technologies in Russia and neighboring countries (Belarus, Kazakhstan and China). The IV All-Russian Plant Protection Congress is intended to demonstrate the experience gained by various scientific and production teams in the implementation of effective innovative technologies in agriculture. • issues of economics and agroengineering. Within the framework of the business program of the Congress, a symposium “History of VIZR and Plant Protection in Russia”, a meeting of the International Organization for the Biological Control of Pest Animals and Plants East Palaearctic Regional Section (VPRS MOBB / IOBC EPRS), as well as a round table “Biological Plant Protection in Greenhouses” . Participants of the event will hear reports from the heads of major Russian and international companies, representatives of research institutes, Ministry of Agriculture of Russia, Rosselkhoznadzor and Rosselkhoz Center, as well as specialists in the field of phytosanitary from Europe and the CIS. In addition, the congress will host the exhibition “Modern agrotechnologies in intensive crop production and organic farming” with the participation of leading manufacturers of plant protection products, agrochemicals, scientific equipment and other goods for agriculture and scientific research. The upcoming event is sponsored by domestic and foreign industry leaders: BAYER, Schelkovo Agrochem JSC, Shetelig Rus JSC, HEMA Group of Companies, Diaem, Analytics and High Technologies Company, AgroBioTechnology LLC and others. “We are pleased to welcome you and are confident that you will benefit and enjoy both the scientific and cultural programs of the Congress. We look forward to meeting you in St. Petersburg! ”- Acting Director of the Institute, Ph.D. F.B. Hannibal. The organizers of the Congress are: the Ministry of Science and Higher Education of the Russian Federation, the Ministry of Agriculture of the Russian Federation, the Russian Academy of Sciences, VPRS, the International Organization for the Biological Control of Pests and Plants, the All-Russian Research Institute for Plant Protection. 03 August 2018 2-nd information letter International scientific-practical conference "MODERN TECHNOLOGIES AND MEANS OF PLANT PROTECTION - PLATFORM FOR INNOVATIVE DEVELOPMENT IN THE AIC OF RUSSIA"
2-nd information letter International scientific-practical conference "MODERN TECHNOLOGIES AND MEANS OF PLANT PROTECTION - PLATFORM FOR INNOVATIVE DEVELOPMENT IN THE AIC OF RUSSIA"